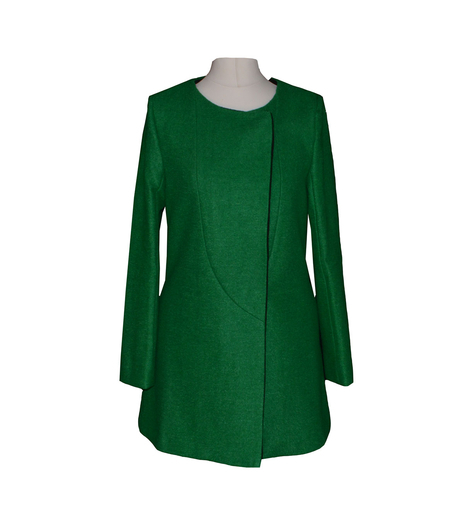 A 60's inspired design, this bottle green coat has contrast black inner panels and fastens to the left with buttons. COMMENTS : If the suited your colouring it would be a cute little coat. 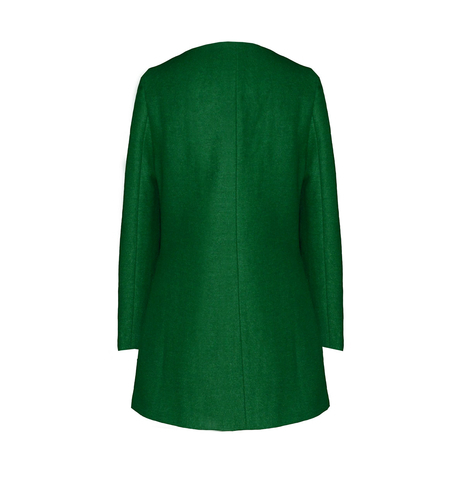 Personally I'm not overly keen on collarless coats as I find them a little bare looking but on the right person the could be lovely . COMMENTS : Lovely colour but I only buy coats as investment pieces and couldn't see this getting enough wear to warrant a buy! COMMENTS : As a women aged 28 I feel this can make me look older. Thumbs down to this. COMMENTS : Sorry, but this coat has no place in my closet. COMMENTS : The color is lovely but not keen on the style...perhaps it would look good if it came with a belt?